Uber launched in Nairobi in January 2015, and the service became a hit among the expatriate community and Nairobi’s tech savvy users. All around the world, Uber has been synonymous with cashless payments only piloting cash payments in Hyderabad, India. Nairobi is the second city in the world where Uber is piloting cash payments besides accepting payments made through mobile money services. Uber has been keen on increasing its footprint in the Kenyan market a move that saw it partner with the Kenya National Association of the Deaf (KNAD), aimed at assisting drivers with hearing impairments become Uber drivers. The partnership will see Uber provide a modified version that disables the calling functionality on the app. 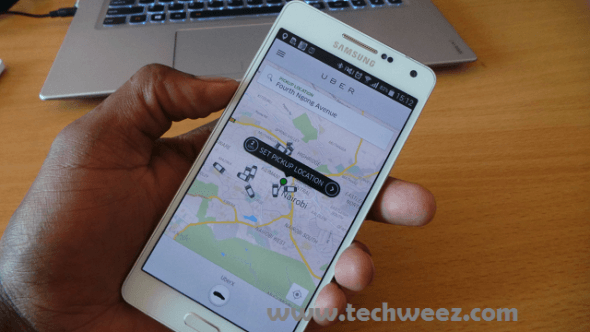 As part of its introduction to the Kenyan market, Uber Kenya users were offered free rides of up to Kshs. 1,000 for sign up. Users would also get a unique promo-code, which they would share with new users and both redeem for free rides worth Kshs. 1,000. Uber has now decided to slash this amount to Kshs. 500, which is equivalent to one free ride. Why one free ride? In Kenya, an Uber ride fare is calculated based on a base fare of Kshs. 100 that is added to Kshs. 4 per minute spent on the ride which is also added to Kshs. 60 Per kilometer of travel. The minimum fare cost is Kshs. 300 while it costs Kshs. 400 if you cancel. Uber offers the Uber X, service locally, which is its low cost option in which drivers use their own cars. How will I be charged in case I cancel? My question is not how *much will I be charged? I’m curious as to how the cancellation fee will be obtained. If, for example, I request for the ride service and call again to cancel, how will Uber follow up on customer to obtain the Kshs.400 cancellation fees? Before your next ride, you will be prompted to pay the Kshs. 400 so as to hail. Uber has also taken defaulters to CBR for failure to settle their accounts.